Easy-to-use and the most affordable, professional, live production and streaming solution. Expand the capabities of your PC system and turn it into a professional, multi-camera, live TV studio that supports professional HD-SDI cameras. 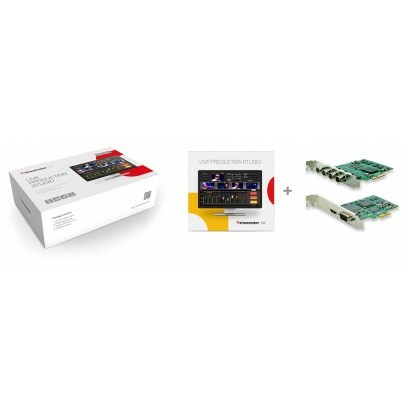 Streamstar KIT | HD-SDI - is easy to install and within a few minutes You will be streaming broadcast quality, live video from your own PC. 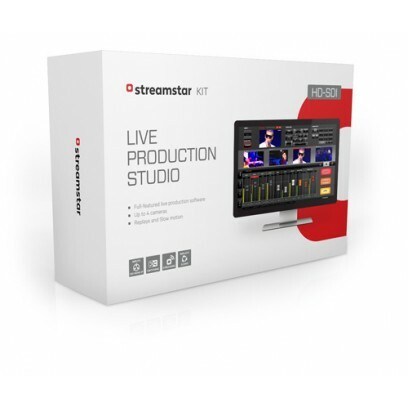 Fully loaded Streamstar live production and streaming software with Instant Replays and Slow Motion playback on all cameras is included.